Found this old video but it shows how models are use to test building techniques and performance. 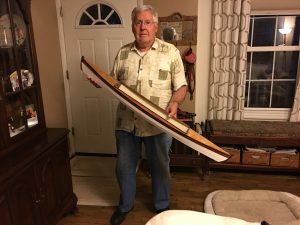 This is a model that predates the first SkiffAmerica 20. Although he sold the rights to the plans many years ago, it’s fun to see one of his model designs still being sold after many years. Click the image to see more. 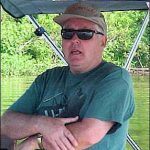 Builder Brent Butikofer has a SkiffAmerica blog with hours of informative reading and pictures regarding the building and travels of his SkiffAmerica 20. I highly recommend reading information from other builders to fully understand the boat. “Sacagawea” is the name of Donovan’s SkiffAmerica 20. 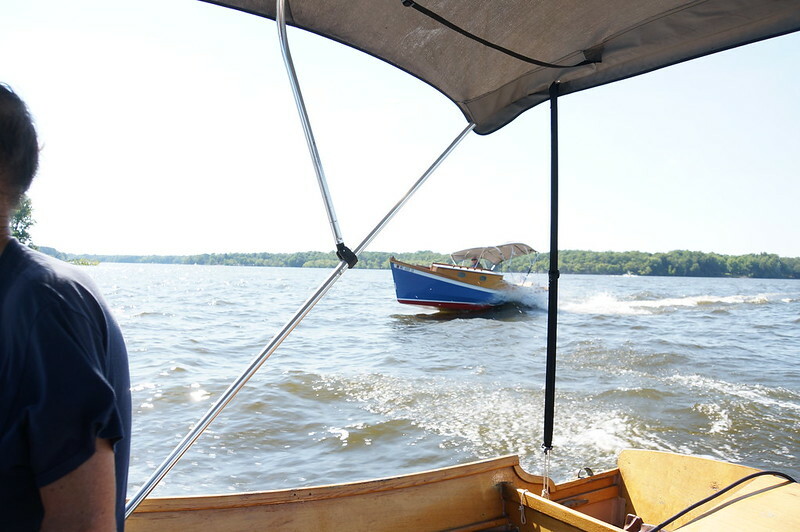 He has a wonderful website that not only shows the construction of his boat but all his journeys of the great, out of the way places, the SkiffAmerica 20 can take you. 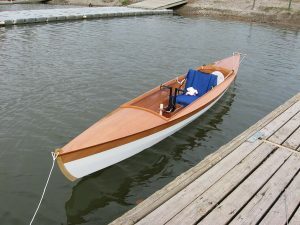 A classic styled outboard powered, trailerable, shoal draft, easily built, plywood planing cruiser. The 20 items listed below were all very important considerations for the SkiffAmerica 20 design to meet my own personal (Meandher) requirements. I believe these goals are important, not just to me, but to anyone desiring to build his own boat. This video was taken at the Rend Lake messabout on June 9th. 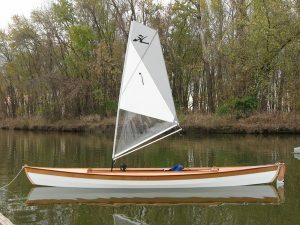 These are the first two SkiffAmerica’s that were built.